This is chocolate like no other, crafted from an old Nordic recipe since 1933, which grants it an incredible smoothness and silkiness, even in our very dark chocolates. Unique eco friendly packaging unaltered since 1933. 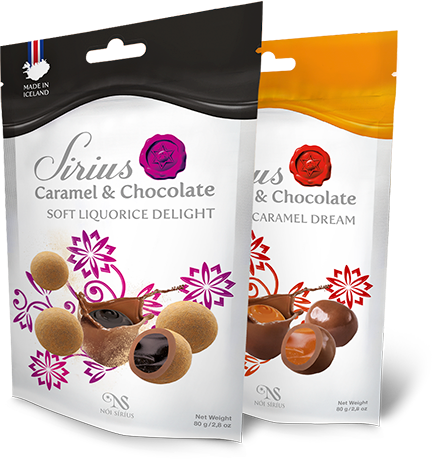 We have doubled sales in only 4 years! 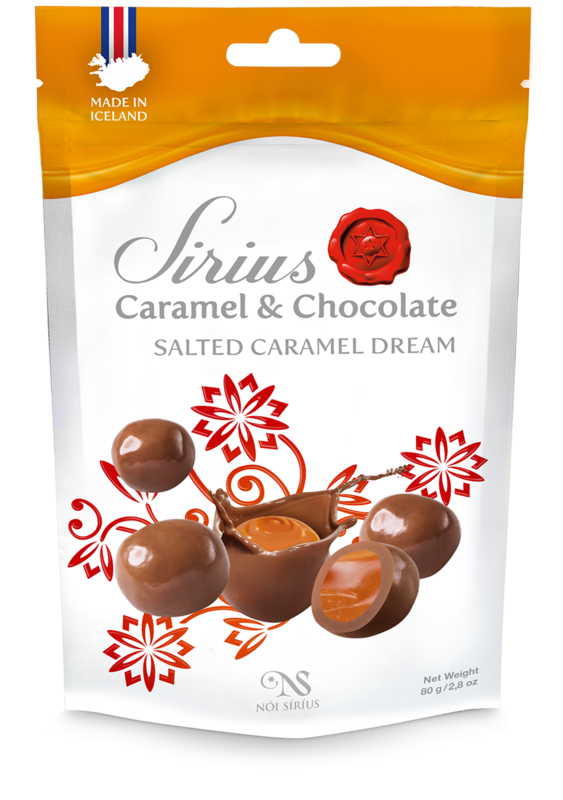 Scrumptious and chewy salted caramel marbles, covered in smooth chocolate. 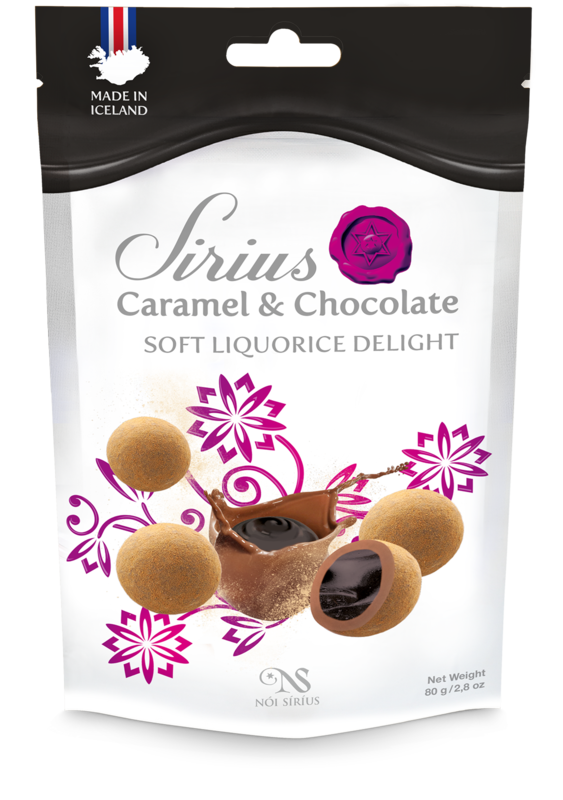 Resilient, yet soft and sweet. 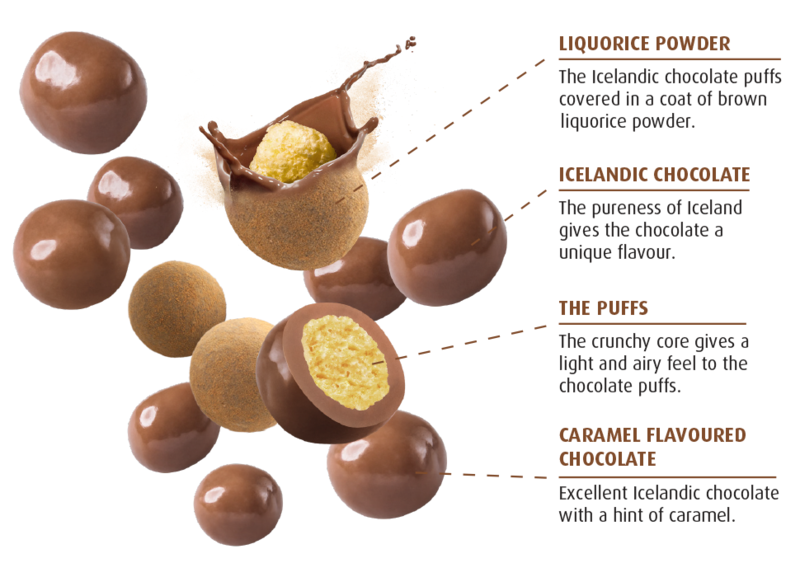 This classy Icelandic delicacy will leave you breathless. 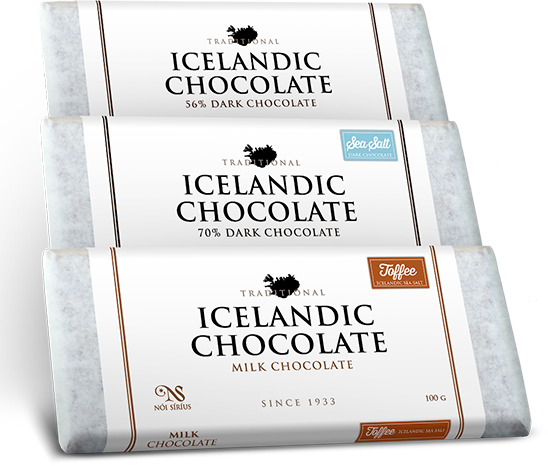 Taste the chill. 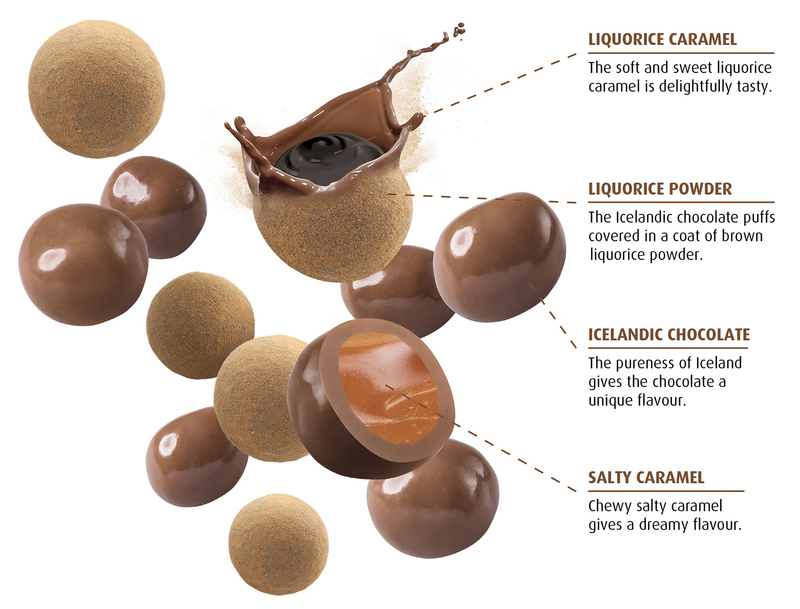 Try the iconic caramel from the top of the world. 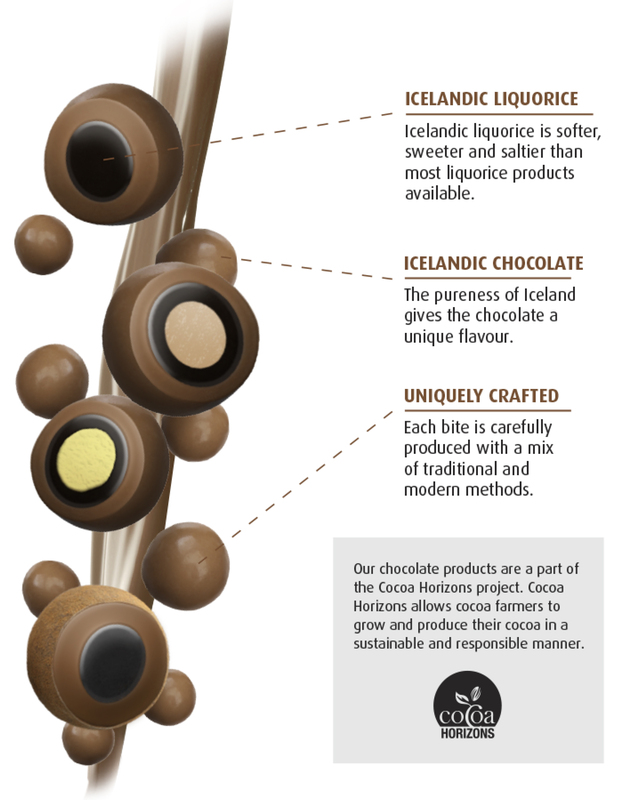 The mixing of our chocolate with other sweet products, such as liquorice, have been the most popular thing on the Icelandic chocolate market through out the years and no wonder it has become a big success in export. 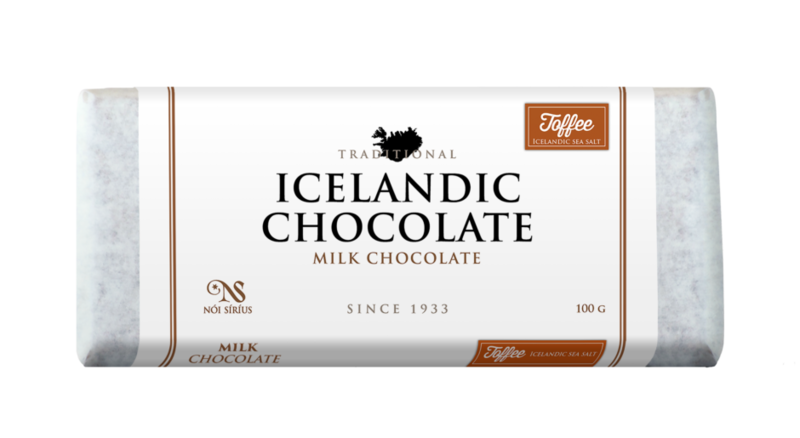 But there is another tasty product which has been the biggest selling item in Iceland for the past 40 years, that should be known by others than locals. 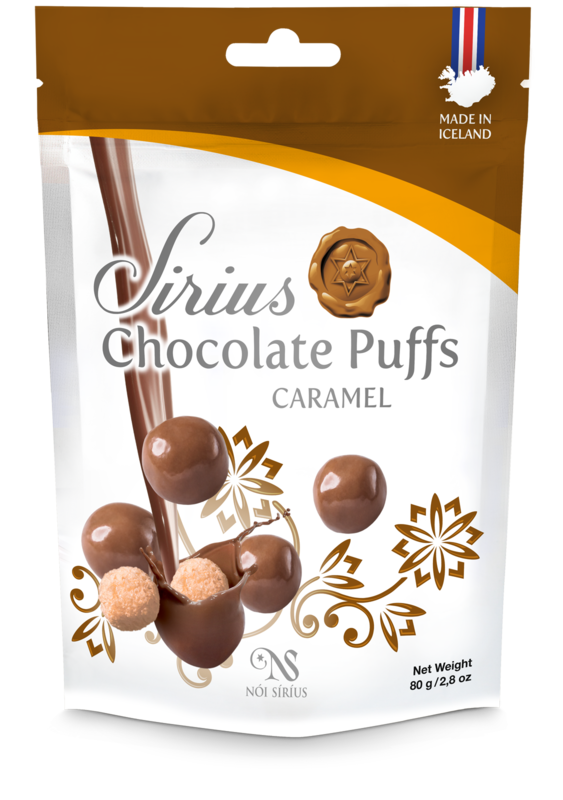 That is Nóa Kropp or Chocolate Puffs, delicious and crispy puffs covered by smooth milk chocolate. 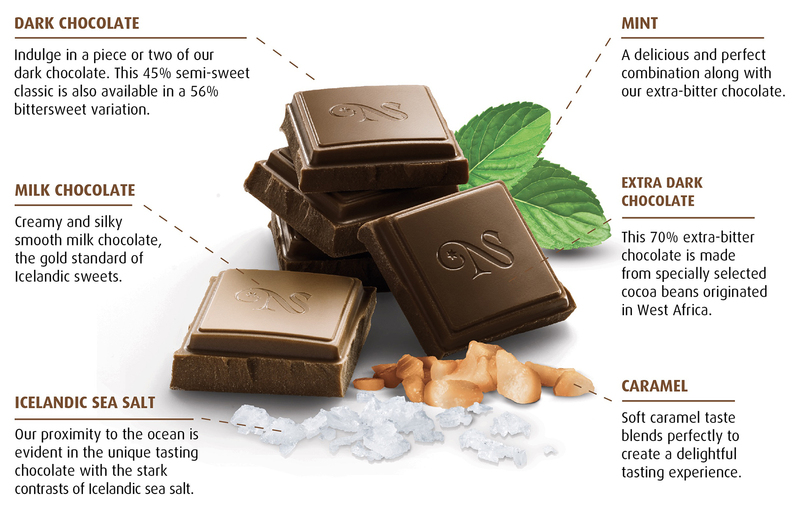 The expert's favourite. The king of chocolate & liquorice products. Caramel flavoured chocolate with caramel paste inside. There is no such thing as too much caramel. How it all started. 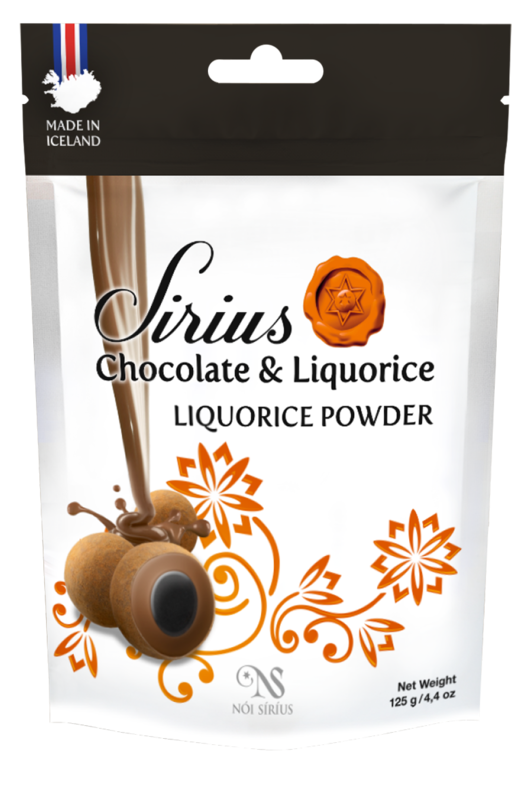 A simple but delicius Icelandic chocolate and liquorice mix. 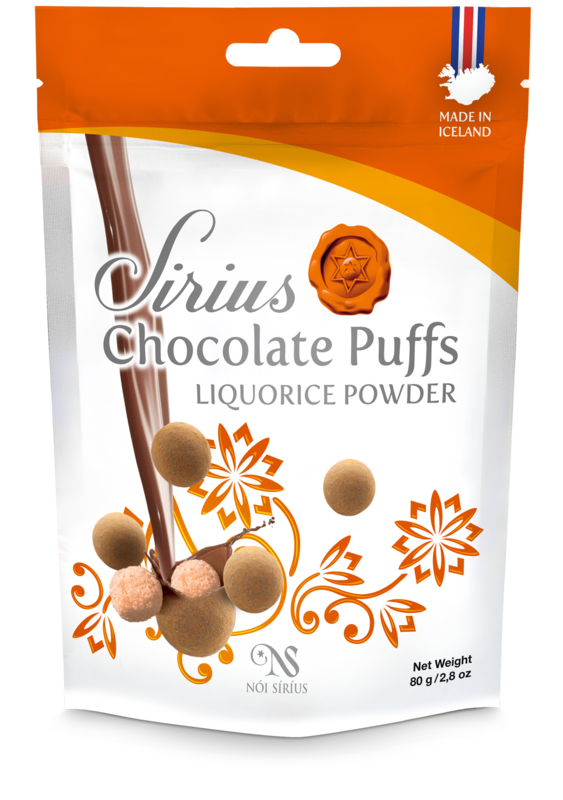 Creamy chocolate coated with liquorice powder. 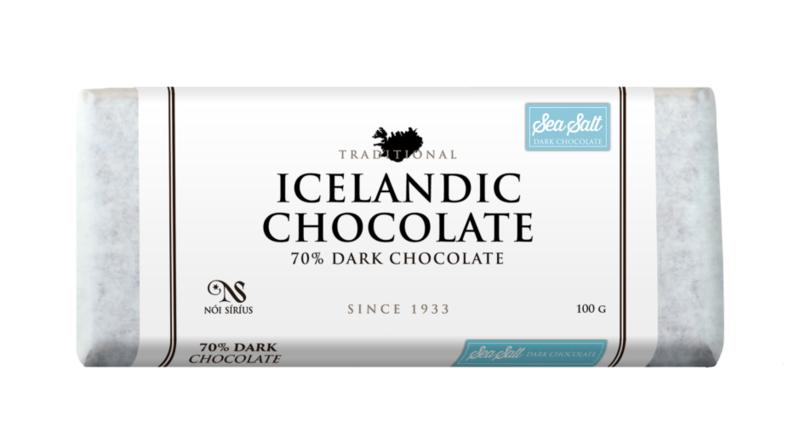 Exelent Icelandic chocolate with a hint of caramel. 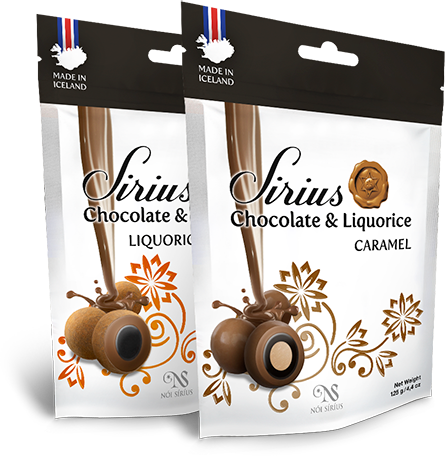 Síríus Chocolate & Lakkrís is produced in the heart of Iceland by Nói Síríus. The company has been producing icelanders‘ favorite candy and snacks since 1933. 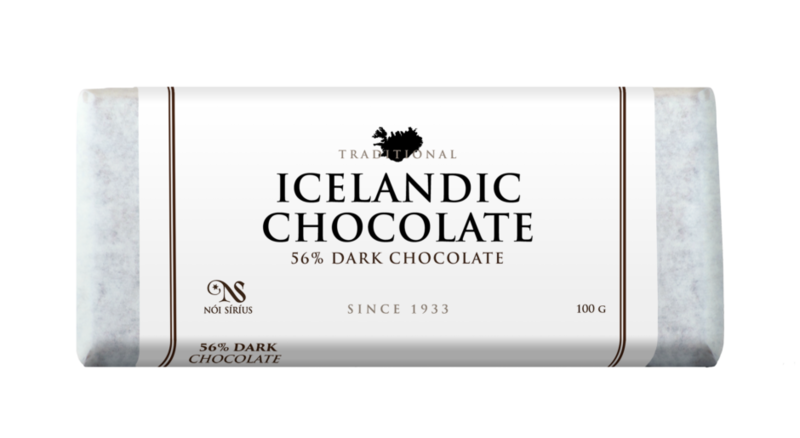 Nói is known for its expert craftsmanship and innovative spirit, inspired by the purity of the Icelandic surroundings and fueled by the best ingredients available.